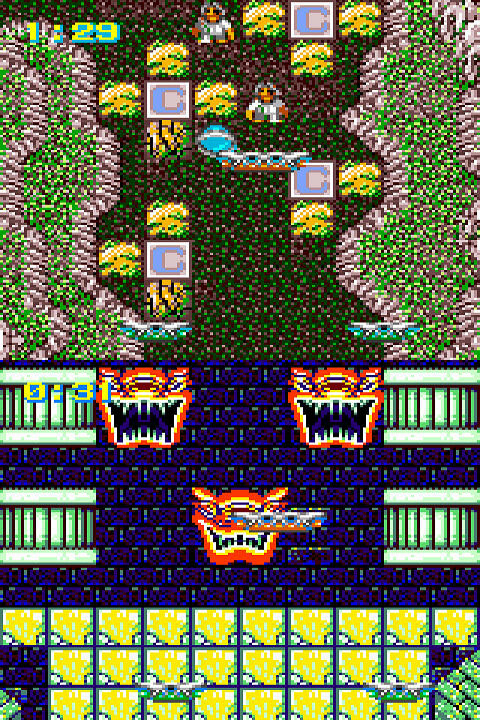 A break out game in which the paddles scroll vertically along the screen so as to be able to progress attacking enemies on the way. The paddle can also be rotated vertically and players are blessed with a second paddle to be able to keep the ball in play. Gothic theme like Devil Crash.